The Russian center-left has sent foreign allies a memorandum blaming the Ukrainian opposition for an anti-constitutional coup, and warning the European stance towards the Ukrainian extreme right can only aggravate the situation. 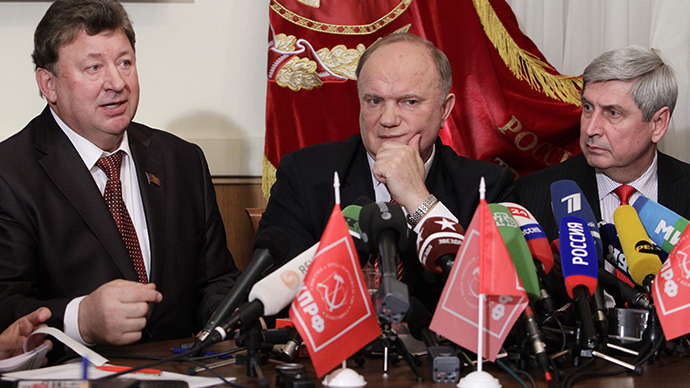 The document was prepared by Fair Russia- the socialist parliamentary party which is a member of the Socialist International – the association of 156 leftist parties that endeavour to establish democratic socialism in 126 countries in the world. 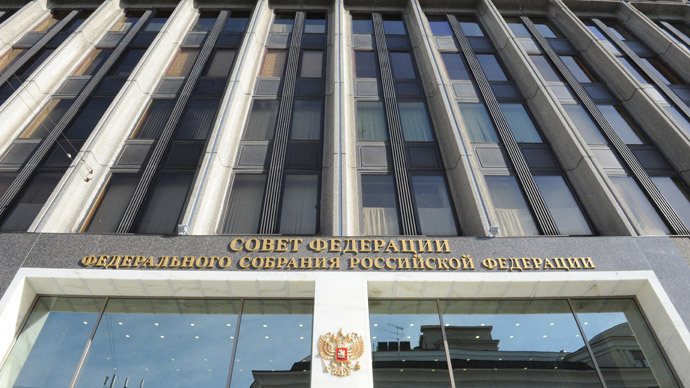 Fair Russia said that the decision to prepare was because of the need to counter the blatant anti-Russian approach in Western media coverage of the Ukrainian events. According to Russian socialists, Viktor Yanukovich really had demonstrated his inability to cope with the turmoil and had de-facto ceased to be president, but at the same time, de-jure he remains the lawfully elected leader of the state because his ousting took place outside the constitutional impeachment procedure. This circumstance makes the Kiev events an anti-constitutional coup and Fair Russia blames the Ukrainian opposition, in particular Vitaly Klitchko,Arseniy Yatsenyuk and Oleg Tyagnibok, for breaching the agreement they signed with the authorities on February 21. Foreign ministers of Germany and Poland as well as the head of the European Department of the French Foreign Ministry must also share the blame as they acted as guarantors of this deal, but applied no pressure to the opposition for withdrawing from it, the memorandum reads. It was the inaction of the European officials that instigated the activities of the Right Sector radical group manned by nationalists and neo-fascists whose primary motto is Ukraine for Ukrainians, the Russian message reads. According to Fair Russia, the Right Sector controls about 15,000 well armed extremists who used threats and violence to force the authorities in several regions into cooperating with the "Maidan" movement. 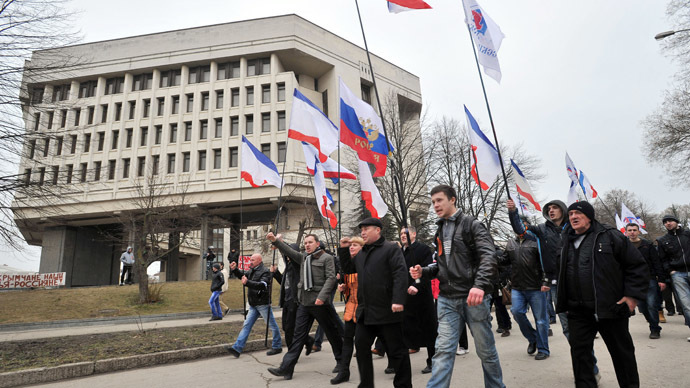 The Russian party told its foreign allies that the leaders of Ukrainian rightist have called on the eviction of Russians and Jews from the country or even physical extermination of these groups. The nationalist Liberty party headed by Tyagnibok has already pushed through the parliament the cancellation of the law ordering punishment for fascist and Nazi propaganda as well as the law that allowed Ukrainian regions to introduce additional national languages spoken by large minorities of the population. Russian leftists claim the real power in Ukraine belongs to the militants representing the Rights Sector and the legitimate opposition leaders who hold talks with foreign governments have little political weight.The attacks on regional authorities in the eastern and south-eastern parts of the country directly threatened the rights and security of the population, and all this left Russian leaders no other choice but to state their readiness to protect ethnic Russians and Russian-speakers in the neighboring country. 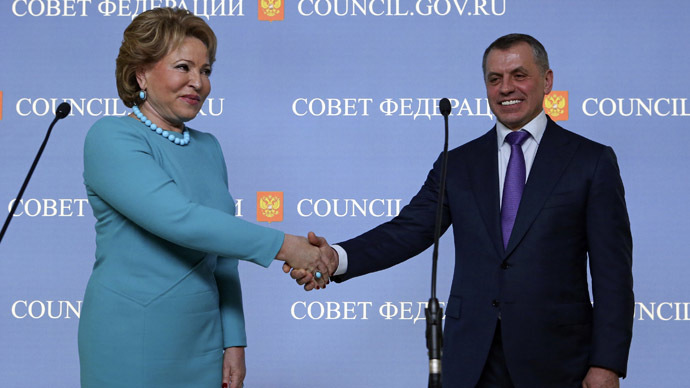 Fair Russia holds that it was only because of the Upper House’s decision to allow President Vladimir Putin to use military force in Ukraine that negated the threat of ultranationalists seizing power in the eastern and south-eastern regions. 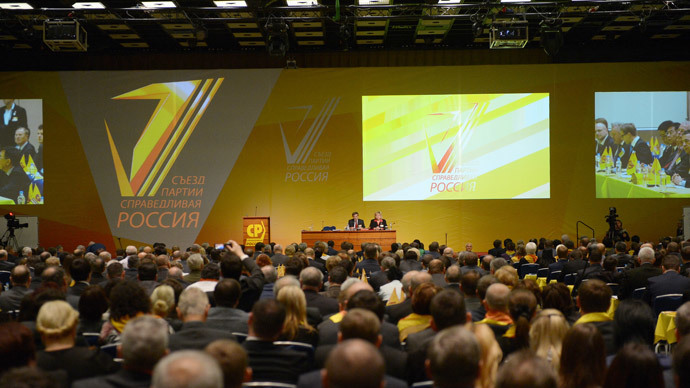 The Russian party called upon all of its partners from the Socialist International to deliver aid to the Ukrainian people and also expect them to publicly denounce the nationalist ideology of the Ukrainian opposition as well as the actions of the rightist extremists. According to Fair Russia only the free, honest and universal elections can now restore the legitimate state structures in Ukraine.